To travel is a wonderful thing and as The Dalai Lama once stated, every year go some place you have never been before. While there a many beautiful sights to see in India itself, it always interesting to know what lies beyond, and to satiate this curiosity we often go through quite a few formalities before we can legally enter another country. Visas have for a long time discouraged travelers from taking that last minute vacation abroad. While getting a Visa for a lot of countries isn’t really a hassle, its great to know that there are still a few destinations where Indian citizens are allowed to set foot without a visa. So the next time you want to go abroad and don’t want to bother with a visa, try any one of these. Lush greenery, the mighty Himalayas and quaint monasteries welcome you to Bhutan with open arms, minus a visa if you are an Indian passport holder. What better place to rush off to for a little break! Bhutan is one of the remotest places in the world and somewhere this makes it an ideal vacation destination for city folks who are looking at disconnecting from the world for a few days. The sole airport at Paro can be reached via only Druk Air from Delhi and Kolkata. One can also drive down if flying isn’t working out. Places to visit include Paro, Thimpu, Dochu La Pass, Taktsang Lakhang and Gangtey. Dominica is not the short form for Dominican Republic but is another island in the Caribbeans. Island, sea, Caribbeans; these are all the right words for a perfect beach vacation and its even better when we say that its visa free for Indian citizens! Thinking of a longer stay? Well guess what, Dominca allows Indian citizens to stay as long as 22 months without a visa! Ideally meant for those who want to sit back and relax while taking in the views of the gorgeous sea and the occasional snorkeling. The island is rich with lush forests, mountains, as many as 300 rivers and even houses the world’s second largest hot spring – Boiling Lake! There are no direct flights to Dominica from India and yes a round trip fare would cost as much as INR 2,00,000. Steep I would say but if cash flow is not an issue, then go for it. I cannot stress enough on the fact that Mauritius is much more than a honeymoon destination, its also a great destination for family trips as well as a trip with friends. Things you can do in Mauritius? Well lets see, Snorkeling, scuba diving, sailing, big game fishing, big cat interactions at Casela Nature Park, Sky Diving at Skydive Mauritius, Shopping at Port Louis, enjoy the nightlife at Grand Baie, shopping at outlets of luxury brands rejects and watch some of the most spectacular sunsets of your life as you soak in some of the good life! Mauritius is easily accessible from India and a comfortable trip for 7 days with a stay in a star hotel would cost roughly around INR 1,00,000 per head. Think Jamaica and the instant picture that comes to my mind is a lazy day by the beach, sipping on some Pina Coladas while some Reggae music plays in the background. Jamaica is the perfect picture of a tropical island. Lush mountainous forests, reef lined coasts and great nightlife. Its as if Jamaica was created so that the world could have a perfect place to visit for a break. I mean Bob Marley was born here, shouldn’t that be reason enough anyway?! 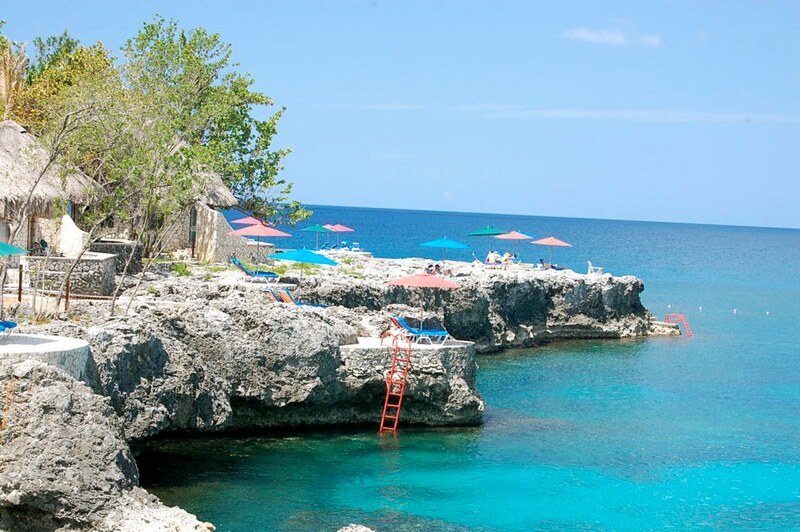 When in Jamaica do stay at one of the fantastic resorts at Montego Bay, go for some snorkeling at Negril and get your fill of the legend Bob Marley at Kingston which houses the famous Bob Marley Museum. Blue lagoons, palm trees and some of the best beaches in the world come at a no visa requirement for Indian passport holders. Now isn’t that something! Fiji is the perfect picture of an exotic island and maybe only 2nd to Seychelles for the same. Apart from the obvious there is a lot more to see in Fiji, visit Denarau island, Mount Tomanivi, Sawa-i-lau (a limestone island),Bouma National Heritage Park, Navala village, and the Sigatoka sand dunes,yup you heard that right! El Salvador is a small South American country which is usually not on most people’s mind when they are planning a vacation, but this little country has a lot to off for the beach bums and surfers and if you are Indian, then please go ahead and surf past the visa process! The capital San Salvador has a flourishing nightlife and an equally great arts and culture scene, spend a lazy afternoon at the outdoor markets hunting for a good bargain and follow it up with a night of revelry, all this with an imposing backdrop of volcanoes, exciting isn’t it?! Other places of interest are Juayu which is known for it’s weekend food festival, Alegria which is a beautiful mountain town which is rich in flowering plants and last but not the least The Maya Ruins at Tazumal. Yes, Hong Kong has a visa free stay period of 14 days for Indian passport holders if you are flying to Hong Kong directly from India. Basically accessibility to the nearest Disneyland just got a lot more simpler. Hong Kong is one the most vibrant Asian countries and has a thriving nightlife and is also a great destination for shoppers. The best thing about Hong Kong is that it can be enjoyed with both family and friends and 14 days is more than enough to explore what it has to offer. Hong Kong is connected via all major airports in India. So pack your bags and leave your visa woes behind! ← An Authentic Lepcha Meal In Sikkim:Hot Beer, Wild Fern, Mustard Leaf Soup & More!